What are the most common injuries that send Americans to the doctor or emergency room? Are some injuries more common in certain states? 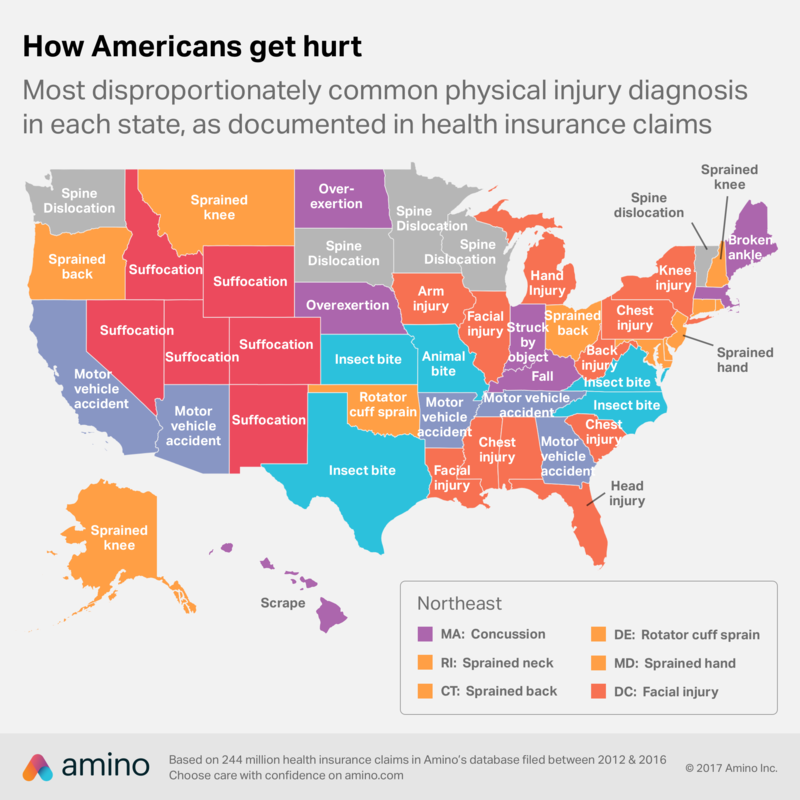 Recently, Amino, a firm which specializes in gathering healthcare data to help consumers make better healthcare choices, looked at what the most common injuries were in each state to find some answers to these questions. Amino, looked at the more than 3,000 ICD codes for physical injuries used by doctors and grouped the injuries into common names. Then, they analyzed all the healthcare data available from 2012-2016 to find the most common injuries. Although the most common injuries did not differ much between states, Amino, did find that some states had disproportionately more of certain types of injuries than other states. For example, people from Kansas are more likely than the national average to go to the doctor for an insect bite and people from New Jersey are more likely than people from other states to go the the doctor for a sprained hand. Unfortunately, the data that Amino analyzed found that people from Tennessee were much more likely to be injured in in a motor vehicle accident than people from other states. In the United States as a whole, injuries from car accidents make up just 1.5% of injury diagnoses. 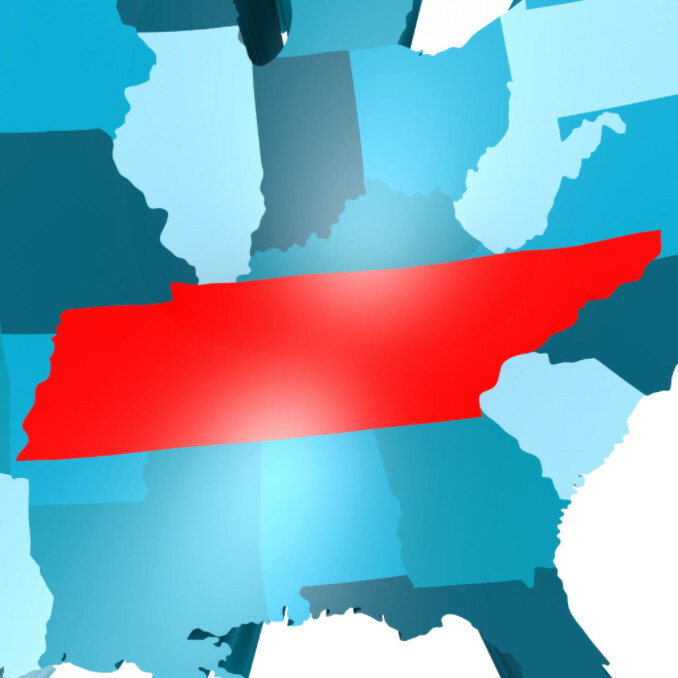 In Tennessee, injuries from car accidents make up 2.5% of the injury diagnoses. That’s 1.6 times more than the national average. Have you or a loved one recently been injured in a car accident or other incident and need legal help? Contact Sid Gilreath at Gilreath & Associates for your free consultation. Get the help you deserve.